The Town of Irmo Municipal Court is part of the statewide unified court system and the Chief Municipal Judge, Rebecca Adams is appointed by the Town Council. The Court Administrator oversees the daily operation of the court along with the Assistant Court Administrator. 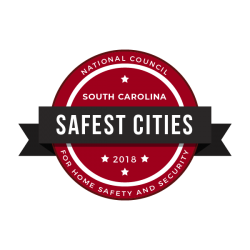 The Municipal Court is responsible for warrants, preliminary hearings, the adjudication of cases, and reporting to the State Department of Motor Vehicles, the Supreme Court, and the South Carolina Law Enforcement Division. The Town’s Municipal Court is one of limited jurisdiction, hearing only misdemeanor criminal cases, as well as traffic cases carrying a maximum fine of $500 (which does not include the state mandated fees) or 30 days in jail, plus certain other cases as authorized by the South Carolina Legislature. The court has no civil jurisdiction; no lawsuits or non-criminal matters are heard. The jurisdiction for the Town of Irmo’s Municipal Court is within both Richland and Lexington Counties. Appeals of decisions made by this court are filed in the county circuit court, the county depends on the jurisdiction and is noted on your ticket or warrant. The goal of the court is to provide a fair hearing for everyone. Requests for Continuances: All requests for continuances must be in writing and received by the Court at least 24 hours prior to your scheduled Court date. The Court cannot grant a continuance on your Court date. Please note, that your Court date and time are located on your traffic ticket or were given to you in your bond hearing if your offense was charged on an arrest warrant. Your continuance request must be legible. Be sure you have signed the request, that you have dated the request, that your mailing address is included in your request, and that you have explained why your request should be granted. Your name MUST be legible for a continuance to be granted, so print your name under your signature to ensure that it can be read. If your request for a continuance is received so close to your Court date that a letter cannot be mailed back to you giving you a new court date, it is your responsibility to appear on your assigned Court date and time and request a continuance from the Judge. TELEPHONE CALLS FOR CONTINUANCES ARE NOT ACCEPTED. Bench trials: Bench Trials are cases that are heard by the Judge who is on the bench on your Court date. Our bench trials are every Wednesday at 4:00 p.m. Please note that on Court dates faxes, telephone calls, and emails received after 1:00 p.m. are not returned or read until the following day. Jury Trials: Jury Trials are scheduled quarterly and are held for a week-long jury trial term beginning at 4:00 p.m. each day of the trial week. To request a jury trial, you must complete the Request a Jury Trail form and bring the completed form with you on your assigned court date. Please note, that your Court date and time are located on your traffic ticket or it was given to you in your bond hearing if your offense was charged on an arrest warrant. A partial listing of prohibited items includes: cell phones, laptops, readers, cameras, computers of any kind, handbags, tote bags, purses, backpacks, food, drink, and ALL weapons are strictly prohibited from the building. You may enter the Courtroom only with a vehicle key and all necessary paperwork for your Court proceedings. DO NOT attempt to bring in any prohibited items. Leave these items at home or in your car. The Court will not store prohibited items in the lobby for pick-up. A police officer will be stationed at the front door to inform you to return to your vehicle if you attempt to enter with any prohibited items. THAT IF A POLICE OFFICER HAS INSTRUCTED YOU TO SEE HIM OR HER PRIOR TO COURT; TO SPEAK TO HIM OR HER PRIOR TO COURT; OR TO PROVIDE EVIDENCE TO HIM OR HER PRIOR TO COURT, THIS MEANS YOU ARE TO APPEAR ON YOUR ASSIGNED COURT DATE APPROXIMATELY 15 MINUTES BEFORE YOUR ASSIGNED TIME AND MEET WITH THAT OFFICER. THE COURT CAN NOT ASSIST YOU WITH THIS MATTER.